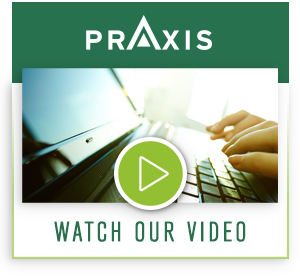 SaaS Application Continuity - PRAXIS can keep your application running even if your SaaS provider fails. Automated Escrow - “Set it and forget it” knowing that your escrow deposit is always updated. Save time and money while improving quality. Learn more here. Data Escrow - Your data must be your first priority. 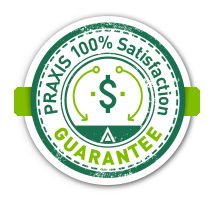 PRAXIS provides robust data escrow and data back-up solutions. No matter where your application is hosted, loss of functionality can be catastrophic for your business. Despite the many economic and administrative advantages of SaaS applications over on premise applications, the implications of extended downtime can jeopardize your future, particularly if you do not have access to your data. PRAXIS has a full range of solutions to make your move to the cloud safe! Automated Source Code Escrow - direct connectivity to GitHub, BitBucket and most other source code archival systems eliminates administration and dramatically improves SaaS escrow deposit quality. Customizable and Upgradable Solutions - flexible SaaS escrow agreements and multiple service options that grow with you. Experience - decades of experience to help answer your questions. PRAXIS provides flexible SaaS escrow solutions for all types of SaaS and private cloud (hosted) software applications. Our SaaS escrow services are designed to leverage today’s technology to support the way you work. We understand today’s technology trends and have designed solutions for software and SaaS application development types. gile Development - new functionality and releases added much more frequently, often weekly. What is the impact to my business if a critical software vendor fails? Experiences extended downtime? In addition to source code, what would I need to support the SaaS application without the vendor? Is there a way to keep my SaaS application running if my vendor fails? Who would help me support the application if my vendor fails? Do I have ready access to a functional back-up of my data? Is my data commingled with other clients’? How quickly can we access the escrow deposit?